If you are part of the country music scene in the UK, whether that be fan, friend, artist, media, industry then the name Baylen Leonard will be no stranger to you. Baylen, originally from Bristol, Tennessee is a huge part of the country music movement in the UK with his Radio shows, DJ sets at Nashville Nights and more recently being responsible for what is set to be one of the best country/americana festivals that the UK has to offer and perhaps even beyond The Long Road Festival. 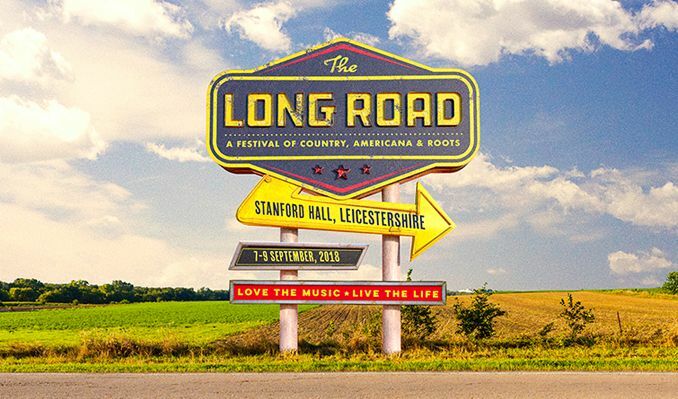 The Long Road Festival, in its first year this year takes place on the 7th – 9th September at Stanford Hall, Leicestershire. 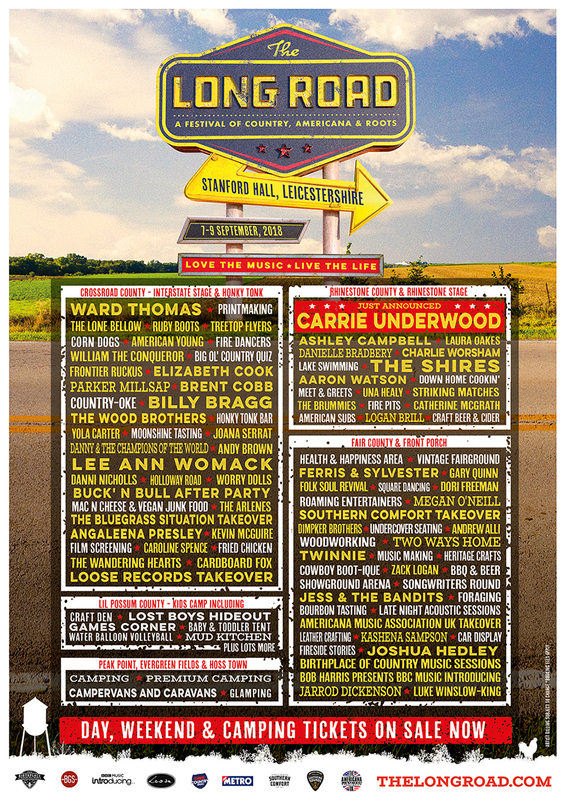 This three day event can boast some of the genres finest artists such as headliner Carrie Underwood, UK stars The Shires, Ward Thomas, The Wandering Hearts and Catherine McGrath, Brent Cobb, Lee Ann Womack, Charlie Worsham, Danielle Bradbery, Billy Bragg and so much more. The Long Road Festival is more than just music as it hosts workshops for all to take part in, there is a large area for children called Lil’ Possum County making it a family fun festival and of course not to mention the Southern Styled FOOD!!! We caught up with Baylen to discuss The Long Road Festival and were highly impressed with the amount of detail, effort and thought that has gone into it. We talk about the music, the creative worshops, Lil’ Possum County, Food, UK labels Loose Music Takeover Stage and so much more. As well as the festival, Baylen gave us a bit of a history lesson too which I hope you enjoy! Buy tickets for the Long Road Festival here be a part of something special. You can Camp, Glamp, Caravan it and there are even payment plans right here which make it affordable for all. Hi, Baylen – how are you? I am good, really good; the sun is out, everything with the festival is coming together. 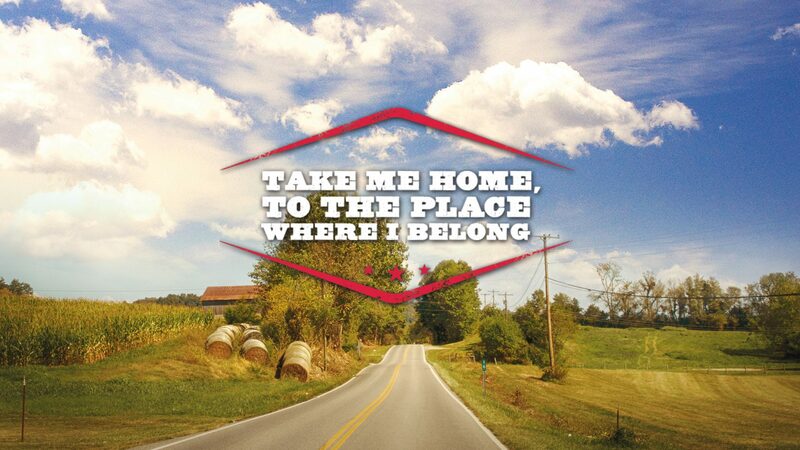 Can you tell us a bit about your background and what got you into Country music? I grew up in Bristol, Tennessee and was always surrounded by and immersed in Country music, because Bristol, Tennessee is the official birth place of Country music. Sometimes people go “What does that mean, exactly?” It means that in 1927 the very first commercial recordings of Country music were made in Bristol, Tennessee. I should say Bristol, Tennessee and Bristol, Virginia because Bristol as a town is half Tennessee and half Virginia. Our main street there is called State Street and the yellow line down the centre of the street is the State line, so one side of the street is Tennessee and one side is Virginia. In 1927 a record executive from New York City had heard about this hillbilly music that was coming out of the mountains around there and went down to do some recordings, because he thought that this could be the next thing. He brought this new-fangled recording device and put ads around – and word got out that they were paying people to come and sing a song. So literally people came out from the mountains and the farms and travelled to come in and sing these songs they had been singing which had been passed down for generations – and those went on to become known as The Bristol Sessions. The Carter family – that’s when they first recorded and became the First Family of Country music. Jimmy Rodgers also first recorded there. Those sessions are still very much alive today – pretty much anybody that you talk to in Country music from Dolly Parton to people who are starting out today, reference those songs, know those sessions, talk about how important they are. Johnny Cash called it the ‘big bang’ of Country music. It’s regarded as the single most important part of Country music history. I grew up with all that history but growing up around it at the time didn’t seem like a big deal as it was everywhere – but it’s only since moving away that I’ve realised how lucky I was to grow up there and to have that as part of my upbringing. Now the town has really embraced it as well. There’s a Smithsonian Museum there called The Birth Place of Country Music Museum and there’s a fantastic festival that they hold in September called the Rhythm and Roots Reunion Festival. It’s just a real lovely town. Sometimes, when you grow up somewhere, it’s hard to see what is amazing about that place – but I certainly see it now and I love going back there. So yeah, I guess that’s where my interest for Country music came from. Well, I just wanted to come. I have been here for 17 years now and originally when I moved over I just wanted to come and check it out and live somewhere else. There was also a part of me that didn’t want to be one of those Americans who only knew America and nowhere else, so I came over not really knowing what I would do or what my life here would be like – but I have been here 17 years now, and it has worked out alright. I really love the UK and I love living here – and my life is very firmly here – but what is really great about that, is that I am able to link where I am from, through Country Music, to where I am now. So, you are a radio DJ first. When did you first realise that there was quite a big market for Country music here? Yeah, radio is kind of what has led to everything else and I am fortunate in that I have been able to do radio pretty much as long as I have been here. My first job was doing voice-overs for the trailers on Radio One and from that I moved on to presenting shows for BBC Radio London, which lead on to Radio 2 and other things that I have done, such as Chris Country. Radio is certainly my first passion, but I did feel like doing festivals and doing other things outside of that. It just feels like an extension to Radio, because ultimately what I try to do with my radio shows is to give a platform to artists and musicians I think people will like and perhaps have something to say or have a different approach to Country music – or are generally good. That is kind of the same approach that I take to festivals. I want to build the genre up, I want people to have a good time. I want people who love Country music to be able to celebrate it. I want people who maybe think that they don’t like Country music to come to the festivals and maybe discover something new and figure out that there is some Country music for them too. I feel like whilst I do a lot of things, I really only do one thing – and that is County and Americana music. You said you have been here 17 years, so when you first got here, Country music wouldn’t have necessarily been what it is in the UK today. What has it been like to see it grow? Oh, it’s been amazing, it’s been amazing. When I first got here, I don’t think that I ever thought that my whole career would be about Country music. Through all the radio I have done, I was always trying to do Country music; I always asked if I could do Country music or if I could do a special or a show, and they would let me do it every now and then, or I would sneak some Country music into the playlist of other stuff I was doing. I had spent so many years doing everything and fitting myself into lots of different slots – whatever show I was given and doing at the time. I enjoyed them all – but Country music was my passion. It’s what I knew about, it was my history and what got me most excited, so I thought, I am just going to concentrate on Country music. I am from Tennessee – that means a lot to me – and I know what I am talking about. Luckily, that coincided with the explosion of the genre within the UK – so it has been really exciting to be just a small part of that. It certainly has been amazing to see its growth and, as you said, you are now doing festivals and of course you have organised the first ever Long Road Festival to take place this September. Cheesy question but…was it a long road to the Long Road festival? Haha! 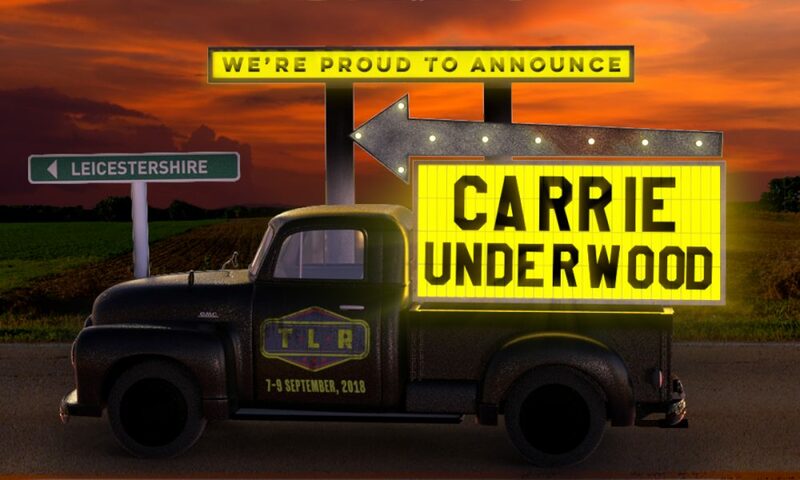 It has been a long road to the Long Road Festival, but it’s kind of been a long road to the point of where we are at with Country music in this country now in general. When I named it The Long Road Festival, I had always had in my head this name for a few years and always thought that my next big project, whether that’s a big radio show, a big tv thing or whatever it may be – if it works – I’d want to call it the Long Road, because, as Country music fans in the UK we have kind of been on a long road together. I feel like I have been on a long road personally, as well – also I think that the name is really evocative. You say the Long Road and you can instantly conjure up an image in your head which evokes a feeling as well. When the opportunity came up to do this festival, I did toy around with other names, but I kept coming back to The Long Road; it felt like the perfect fit for the whole thing. I love that image of us on the long road together, going towards this Country Mecca. I think as well, that the name is an instant attention grabber; people will gravitate towards it regardless of being Country fans or not – it’s very intriguing. Thank you for saying that. I am glad you feel that way, because that’s how I approach all of the radio shows that I do, and with any project that I work on, I want Country fans and Americana fans to know they are in good hands. I am also trying to bring other people into the genre – trying to get other people who may either think they don’t like Country music at all, or they have heard some particular type of Country music that wasn’t their thing. I want people to come along and experience all the different sides to Country and Americana music, and find something that they can latch on to. I want Country fans to be able to bring their non-Country loving friends as well and have them enjoy it – but also still be true to what Country and Americana music is. As you know it’s such a wide genre – I always say it’s a wide church, there are loads of pews, there is room for everyone in there. It’s always exciting when people tell me that they brought their non-Country friend to something and they are becoming a fan or found an artist they really like and are able to dig in deeper, because ultimately that’s just great for all of us. What is your criteria for choosing who plays? How do you weigh the artists you are a fan of and believe in, to who is popular – or you think will work for the festival? They just have to be good, haha! It does come down to that, but also you want have a nice spread of all of the different sub-genres and different ways that Country can present itself – and the different sounds that are in Americana music. You want artists who are not just good, but have something interesting to say and are doing something maybe unexpected – and you also want people who are great musicians, with good time songs. It’s basically just trying to get this balance of “Hey this is Country and that’s also Country. That over there is Americana – and this is a different type of Americana”. It has to be good, and you have to balance that out with artists and music you know people want to see and listen to and already know – and are excited about. Then you want to bring in something that maybe they haven’t heard before or an artist who is just getting started, and may be a big deal in a couple of years. You just want to keep people happy and give everybody something unexpected as well. The line-up is amazing and I love how heavily Loose Music is involved as they have some great artists attached to their label. 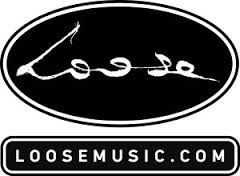 Yeah, Loose Music is one of the UK labels who have been doing this a long time – doing it long before it was kind of the buzz word of Country. They are celebrating their 20th anniversary this year, so they have been doing this a while. Even before I was concentrating specifically on Americana, when I was just doing Country or radio shows, they were always sending me music and I was always liking what they were doing. More recently they brought Sturgill Simpson to my attention, when he signed with them, before he became this massive star that he is. They have always had this really good knack of separating the wheat from the chaff and presenting artists who are just really interesting – and great artists who wouldn’t necessarily get signed to a massive label, but should be. When I found out they were celebrating their 20th year and I knew that I was doing this festival – and because they are such stalwarts in the UK Country music scene – I thought “I want to help them celebrate, I want to help them party, I want them to be a part of this.” So yeah, they are going to do a stage takeover on one of the days and basically have a big party. It’s important to me that I am not just bringing over US artists – of course that’s a big part of it, but it’s always been important to me to celebrate how good UK Country music is, and all facets of that as well., So, in addition to Loose, I have made a really big effort and paid really close attention to making sure that there is plenty of room for UK artists of all those genres on different levels of their career, to have a place at The Long Road as well. Tell us about the different areas set out for the festival, it looks amazing. As the mum of a toddler, I am, so delighted and excited for Lil’ Possum County. Tell us a bit about that, and how important it is to you to make it a family festival. Well, I think that Country music and Americana music is a lot about community. I know that is a word that can be sometimes over used but certainly in Country and Americana music it really does feel like a community. I know that a lot of times you can’t take your kids to gigs and even some of the mainstream festivals aren’t particularly kid friendly – or are so expensive, so to bring your kids along would be virtually impossible. I think the lifestyle element of the Long Road Festival is so important and I have paid such close attention to bringing all of those things about the lifestyle that we love, in addition to the music that we love, so it only made sense that it be a family friendly festival. I didn’t want it to be “Oh, you can bring your kids.” I wanted there to be a fully formed program of things for kids to do, for families to do together – and I didn’t want people to worry about getting childcare or the kids being bored. So I put in a kids’ section, a fully formed program of stuff for kids. I think Lil’ Possum County is going to be amazing. The kids are the Country fans of the future, so we want them to have a good time too. This is an important one – what kind of food can we expect? Oh man! Well, yeah that is a very important question! Again, I am paying close attention to the music being amazing and the lifestyle too, but food is hugely important at a festival and I didn’t want to just have your standard festival fare. I wanted there to be loads of options available to everybody and to have lots of dietary needs covered – but also the food is a really important part of the lifestyle. You have to have people doing BBQ and smoked meats who know how to do it and take it seriously. Also, I wanted to make it affordable as well and ensure that drinks were affordable. You don’t have to be too out of pocket to have a good time and celebrate. I had a meeting with some of the food people about what that section of the festival would look like and I think the food is going to be great. It’s authentic, it’s real, it’s by people whose passion is cooking. They know how to do it on the scale and how to do it right – and we are even making special efforts to get some kind of American style festival fare which in America is something that you take for granted, but I never see in festivals outside of America – and we are going to have that as well. Food – high on the list! There will be workshops too? Yeah, absolutely, because that ties into the lifestyle and it ties into the fact that people want to have something to do outside of the music as well. I think that’s what makes it a fully formed event. I want to create a world people can enter into and live there for the whole weekend and it is always good to come away with a new skill. It is also great to showcase some of the heritage crafts that go in hand in hand with it. Whenever I go to festivals in the States which have those type of things, I absolutely love it, because sometimes you come away with something that you have actually made that weekend. Later on when you are in your office and watching the clock count down, you can look at something you made during that festival, have a mini break in your head, remember what a good time you had and keep that new skill as a memento. We are getting lots of crafts people, artisans who like to come in and run workshops which people can take part in. You can listen to music whilst you are making something, you can make your own banjo if you want and take that away. There are all sorts of options available, because I didn’t just want to put up some stages in a field and put on some great music. Obviously, music is the most important thing, but I really wanted it to be something people remembered – had a great experience at and came away with something that they could remember it by. Well, you just said what I was thinking right there. It sounds like it is going to be an ‘experience weekend’ and not just a festival. I am so excited to see so many on the line-up, but I can’t wait to see Joana Serrat as I love her music and haven’t seen her live yet. Joana Serrat is amazing and a great example of the variety of sub genres. She is Spanish and is doing her own take on Americana – and she is so great. What is exciting about me hearing you say that, is of course there are some big bold names on there we are all excited about – Carrie Underwood, Lee Ann Womack, Brent Cobb, The Shires and people like that. But it’s really great when I hear people are excited to see someone like Joana Serrat, or some of the people who aren’t maybe on that big huge level yet. It shows that people actually really know their music and really dig into it. It’s really great that I can put people like that on the same bill as artists who have been doing this for years and years, and have huge names and huge followings – because ultimately that’s the goal. If people see Lee Ann Womack because they know her and they love her and they have always wanted to see her – but then they have also walked around the corner to see Joana Serrat performing on the Front Porch Stage, or they go into the Honky Tonk and they see artists that they have never heard of, and come away loving them – it’s a great thing. Thank you so much for talking to me today. Thank you, I really appreciate everything you do to help promote Country and Americana music in general.